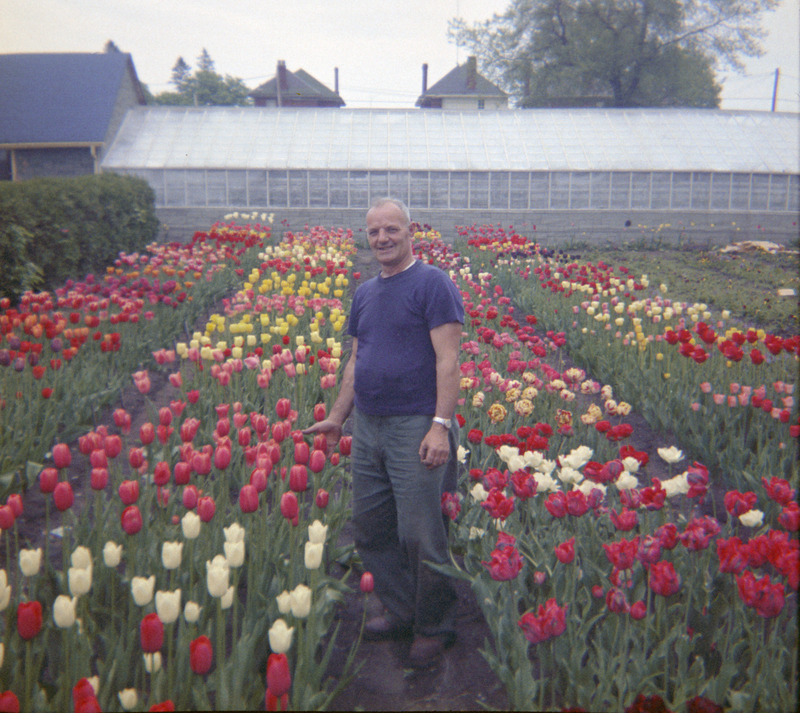 My grandfather, Sydney Nicholls, came to Canada from England when he was 17 and worked in the Collingwood shipyards until he could open his own florist business. He built large greenhouses behind his home on St. Marie Street and grew all manner of flowers in them–poinsettias, carnations, lilies, orchids. Outside in the garden he grew lots of other lovely flowers, too. He liked pink sweetpea and tulips and always planted geraniums. He also had a huge stand of purple iris. When my mother grew up and moved away, she took some of those iris with her. It was especially important after her father died and the house on St. Marie Street was sold. She planted them at our house on Pelmo Crescent in Weston. Ten years later when our family moved, she packed them up and planted them at our house on Hardwood Gate in Rexdale. Ten years after that, my mother packed them up one more time for a move to Carlisle. That year, however, disaster struck. All of the iris that mum had so carefully overwintered in the garage got wet somehow, and rotted. Grandpa’s iris was gone. On Mother’s day, Pat and I drove back to Rexdale. We knocked on the door of my old house and were greeted by strangers. No, they didn’t recall any iris in the backyard, but they wouldn’t mind at all if we went and had a look. At first, I thought they were all gone. I knew the spot and it looked as if there was nothing there. But as we got down close to the soil, we saw them–a few tiny iris shoots! We wrapped them and took them out to Carlisle, where we gave them to my mum. It was a great mother’s day gift. Only a few years later I would go into my mother’s garden and dig up a few of those same iris shoots. When I brought them home I was so afraid that they would die I planted them in three different places! I had no need to worry, though. 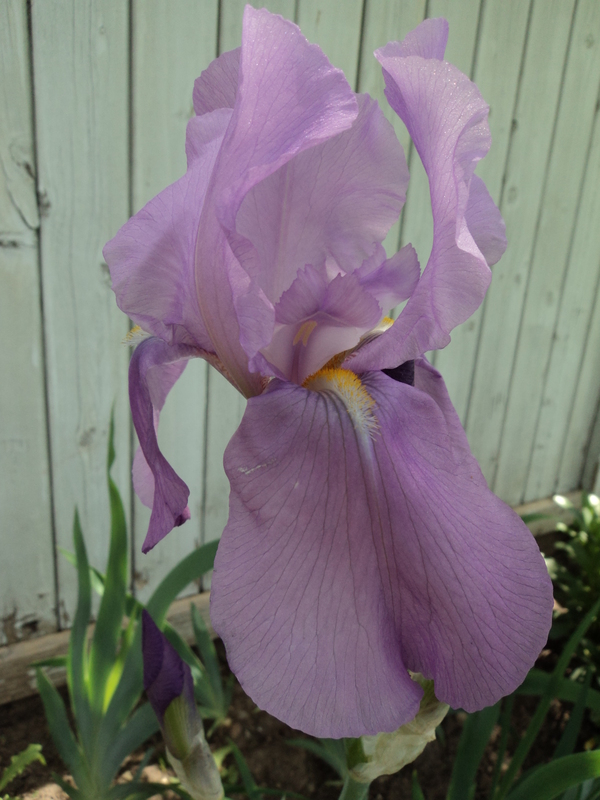 Those iris from Grandpa Sydney–the man I wish I could have met, the man I named my daughter after–are happily blooming in my garden all these years later. I love that. This entry was posted in Uncategorized and tagged family, garden, memories, nature. Bookmark the permalink.